Want to find the height of a cylinder? Already know the volume of the cylinder and radius of the base? 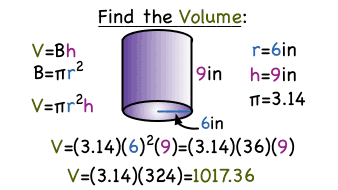 Then, you can use the formula for the volume of a cylinder to find the height! Check out this tutorial to see how!